Mass Construction Show: What's this podcast about? 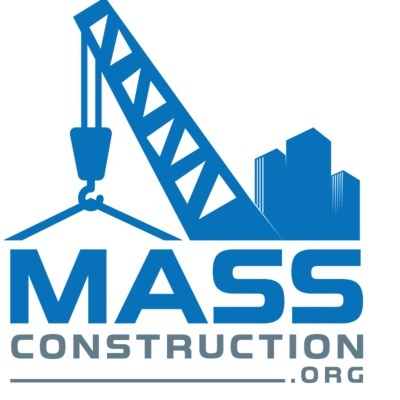 I'd like to welcome you to Mass Construction Show where we talk about all things construction with a bit of a local (Massachusetts) bias. Covering Real Estate Development, Code, Risk Management, Technology and anything else construction. Glad to have you! In today’s episode Andy discusses how he and co-founder Nathan Pfleegor started and grew Sterling Construction into a 25M company in 3 short years. I encourage Andy to discuss the systems he put in place that enabled them to grow and I believe very much, that these systems and decisions are part of the recipe that will make them a major player in the years to come. We also discuss personal and company productivity, operating lean and focusing on clients. Andy brings a ton of energy to his business and this episode. Enjoy the show! Lt. Chris Towski: Cambridge Fire Dept. In today’s episode Lt. Towski brings a unique perspective having served in a fire house, the fire prevention division and now as part of the office of Emergency Preparedness and Coordination for the City of Cambridge. Outside of his day job he sits on the technical committees for NFPA 241 Safegaurding Construction and NFPA 855 Energy Storage Systems.. as well as serving as 1st Vice President of the Fire Prevention Association of Massachusetts. With all this involvement and experience we were able to cover a lot of ground and you’ll gain some insight on what substantial changes we may be seeing in the next edition of NFPA 241. Enjoy the show! In this episode Jesse talks more about what goes into the decision making process when an institution considers installing or upgrading to a Co-Gen plant. We also discuss the district energy model and unexpectedly go into water reclamation and the possibility of it becoming more common in the future. Enjoy the show! 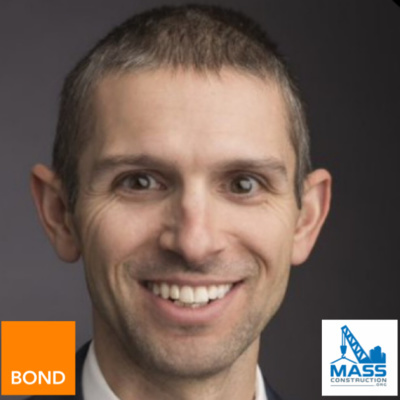 In this episode we speak with Jesse Conklin of BOND Brothers who has a background in the utility space and in particular the building and planning of Co-Gen plants for college campuses. This episode is going to be a bit more educational in nature discussing what Co-Generation (sometimes called CHP Combined Heat and Power) is? As well as, the benefits such as resiliency, cost savings and environmental impact. Before you listen I’m going to express in my primitive way what is Co-generation and how I’d describe it is; the burning of fuel to spin a turbine to create electricity and then capturing the heat from burning the gas to produce steam or hot water to heat and/or cool a building. Beyond that there’s a number of other ways that more of the energy is extracted from the process, but that exceeds my pay grade and is why a guy like Jesse is on the show. The is Part 1 where we cover the basics and come back for Part 2 when we go broader and discuss bigger subjects like environmental impact (renewables), uses for/ setting up district energy plants, breaking down a use case for viability of a Co-Gen Plant. Enjoy the show! 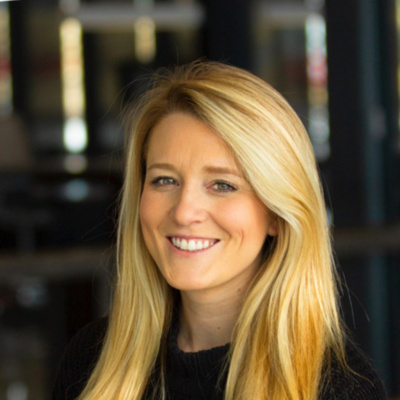 This is Part 2 of our sit down with Kelsey, In Part I of this interview she described what the Smart Lab is and talked about the various forms of technology that Suffolk is implementing on their projects. In this episode we move deeper into the tech and the process Suffolk uses to adopt, implement and potentially standardize technology on their projects. We also talk about AI, standardization of data, and Suffolk’s use of Virtual Reality. Enjoy the show! In Part I of this interview Kelsey describes what the Smart Lab is and talks about the various forms of technology that Suffolk is implementing on their projects. She also discusses field or project generated discovery of technology versus Smart Lab generated technology and how that plays out in the adoption of new tech. If you go to @Mass.Construction on Instagram or Joseph Kelly on Linkedin I’ve posted photos from the lab so you can see some of the tech we are referring to. It’s quite impressive what Suffolk is doing, not only adopting new tech and methods of innovation but having data analyst in house is taking things to the next level. If you want a glimpse into how are future looks, listen up. Enjoy the show! In this episode Mike speaks about having “Large company sophistication, with small company love” and how that plays out in his firm. During our conversation it becomes clear that Dellbrook JKS focuses heavily on investing in their people’s; education, health and growth opportunities. Mike uses the words grit, accountability and integrity but more often uses the words fun, family and love. Words you don’t hear that often from CEO’s which makes a lot of sense when you hear how much his employees enjoy working for him. Investing in people seems to be working out well for the team at Dellbrook JKS, going over the $400M mark this year means we should probably pay attention to what Mike has to say. Enjoy the Show! This episode should be an education for construction professionals as to how attorneys interface with your companies. We cover the basic roles they play, drafting good contracts, and what avenues are available when something goes wrong. Paul has a wealth of expertise in representing owners, GCs, and subcontractors, so his unique perspective is pretty thorough. 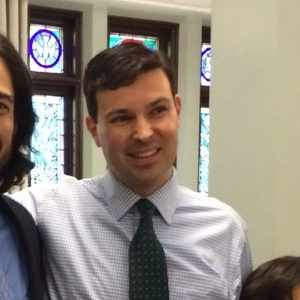 Furthermore, being an accomplished litigator means he can cover the entire process. Enjoy the show! Fran Colantonio: CEO at Colantonio, Inc. In this episode we cover a lot of ground with Mike. Including building a business, company culture, effective use of social media and a lot of time on digging deep on lean principals, pre-fabrication and limiting waste. Now we’ve finally let a subcontractor on the show and nobody better than to start with than Mike Weber. Enjoy the show! In this episode we finish our conversation with Peggi and Alex covering cost, structural elements acting as finish materials, concrete and wood composite floors, and the experience contractors had with new products. Here's a link to the time lapse video Alex mentioned and view @mass.construction on instagram to see the photos referenced. Enjoy the show! In this episode we chat with Senior Lecturer Alex Schreyer and Associate Professor Peggi Clouston who are both tremendously accomplished in their fields. Please click the links to read their full bios, but I will say that between the two of them there is a tremendous amount of study, research, practice, and publications on various topics within timber construction. They bring an expertise in Mass Timber that is unparalleled in our area. Alex was kind enough to offer me a tour of the Olver Design Building which is a first of it’s kind Mass Timber academic building that consists of an exposed glulam frame, CLT shafts and CLT and Concrete composite floors. We talk quite a bit about the building itself, the construction process, cost , and Mass Timber in general. If you want an education on the newest trend in construction it’s your lucky day. Enjoy the show. In this episode we cover what is NFPA 241 and some of what's required by the document. You'll understand when 241 applies, when a plan is required and what an FPPM is and who it should be. In today’s show I have Erik back to bring some expertise about Construction Technology. We cover Virtual Reality, Augment Reality and how Dimeo is currently using the technology for safety education. We also discuss what Erik sees us using more of in the coming year and what he thinks we'll see less. Enjoy the show. Today will be another solo episode, talking about Wellness in Real Estate & Construction. We’ll cover what that means, what get measured when determining “wellness” and what are the certifications on the market. We'll also chat briefly about the two certifications available in the market; Fitwel and the WELL Building standard. Enjoy the show! In this episode we hear the origin story of Consigli a fourth generation General Contractor that has had impressive growth under the latest generation of leadership. Specifically going from a $1M annual revenue to $1.6B and opening an addition six new offices. We discuss how that happened, what professional development at Consigli looks like, why they choose to sell the company to it's employees, and much more. Enjoy the show! We’ve got a full house in this episode. It was recorded at GRLZ Radio, a program that supports young women whose circumstances often mean that they have more to overcome than an average teenager, but with the support of GRLZ Radio their futures are looking bright. Our conversation is with Saun Green who is the Program Director at GRLZ Radio, Kelly Gillen from Turner Construction, and Jomelly, a Peer leader at GRLZ Radio. We cover what GR does, what it’s like to be a woman in construction, why you should get involved in industry groups, and what you can do to help. This is one of my favorite episodes. Enjoy the show! In this episode you’ll hear what Bob and the AGC MA do for their members and more importantly what they do for our industry and General Contractors as a whole. The most in-depth part of our conversation involves advocacy and what the AGC does on the legislative front with lobbying, forming coalitions with our construction related associations, and the important work of submitting legislation to improve our industry but more importantly opposing bad bills that would be detrimental to General Contractors. This is a whole another world that you probably don’t know exists and here’s your chance to learn. Enjoy the Show! In this episode we cover the trend of energy storage and how it will affect the real estate and construction industry. Explaining terms you should be familiar with and the 3 factors driving the trend. We'll also discuss the hazards you should be looking at, how the codes don't sufficiently cover them, and the future codes that are just around the corner. In this episode Alex discuss what Pillar does through data collection via environmental sensors on construction site and what the future of construction will look like as a result of construction data and machine learning. Enjoy the show. Here's a quick episode about a conversation I had with Rob Carson Director of Risk & Safety at Dellbrook JKS and Alex Schwarzkopf CEO of Pillar Technologies about how we could leverage technology and data to prevent mold on construction sites. Have a listen to the concept and let me know your thoughts. In this episode we talk code, zoning, 40B, code changes in the 9th edition and upcoming work in Brookline. Enjoy the show! In this episode we discuss Mass Timber construction commonly referred to as CLT Cross Laminated Timber, explaining the difference between the two. We also covering Mass timber projects happening locally in the US and internationally. The overall conversation is looking at the trend of Mass Timber and what factors are in it’s favor and what’s holding it back. This is my first episode solo, so feedback would really be appreciated! Music by: Sound Revolution https://itunes.apple.com/us/album/sound-revolution/300662236 Enjoy the show. In this episode you’ll hear how Erik after leaving the Army went from a surveying crew to geo-tech to field engineer and how that lead him into virtual construction when it was just coming to our industry. Then comes a sharp turn to discuss what it was like being part of, and watching a company go out of business, but how the skill sets he had picked up meant he was employed in short order. Then we go macro and talk about where the industry is heading and what his position might look like in the future. We cover a lot of ground including ROI.. well "benefits" of BIM and we’re both in agreement that modular is our future. Enjoy the Show! This episode of the Mass Construction Show is with Chris Lynch, Principal at Code Red Consultants. In this show Chris will explain what code consultants do and what a code compliance alternative is, and he’ll talk in depth about the new requirement for third party inspections on fire stopping. Then we’ll get to business- you’ll gain knowledge on how Code Red had such rapid growth in a traditionally stagnant market. Chris will dive into accountability of leadership, compensation, and being a renaissance consult. There’s also plenty of talk about culture, burnout, work-life balance, hustle, and grinding. If you’ve ever thought about starting your own business you’ll want to listen up. Enjoy the show! In this episode of the Mass Construction Show we speak with Rob Carson, Director of Safety & Risk Management at Dellbrook JKS. We discuss how Rob and his team look at risk across the life of a project including safety, QA/QC, and property damage. We discuss what technologies Dellbrook JKS deploys its their job sites (you’ll be impressed), the biggest risks on wood frame construction, and the one thing I found most fascinating… How they approach a “builder’s risk” policy. Dellbrook JKS is quietly becoming a MAJOR player in our market (north of 300M annually, I believe), so you’ll definitely want to hear what Rob has to say. Enjoy the show! A discussion about how commercial real estate deals get done. What goes into choosing a site; demographics, cost of construction, pro forma, and more. We also answer the question can a real estate company have a brand? In this episode we speak with William "Buddy" Christopher, Commissioner of ISD Boston. For folks who don't know, the Inspectional Services Department encompasses the Building Department along with Health, Housing, and a number of other agencies. Buddy discusses ISD's philosophy and how to change one’s mindset from a "department of no" to, “is there a way we can make this work?” We dive into what's happening in the neighborhoods, including an area of Boston I had never heard of - Glover's Corner. We also talk building code, zoning, podium construction, fire safety and more. Enjoy the show! In this episode we are joined by Bill Held Principal at The Cardinal Group a Construction Management firm specializing in Life Science industry. We discuss the life science and manufacturing industry and how working in and building those facilities differ from typical construction. Bill covers the intensive nature of the equipment, pre-fabrication, modular skids and now the "super skid". We talk generally about running a business, how he's handled Cardinal Group's tremendous growth, what goes into culture, and Bill's focus on "operating in the capacity as an extension of the clients staff". We talk about intensive front end planning as a way to increase pre-fabrication, and managing risk buy reducing occurrences of things like fall hazards, hot work and confined space. In this show Andrew will cover what a real estate strategist does for an architecture firm. We’re also going to talk a lot about data. Andrew explains which external sources Gensler uses to track data like rental rates, demographics and -a term I hadn’t heard before- psychographics, as well as the internal data they tap to help clients make good decisions. Then we’ll move to transportation and the effect it has on design and use of a building including parking, what is happening to it, and how designers are responding to the changes. If you build for a living this episode will be really interesting in terms of revealing what goes into planning the structures that you build. Enjoy the show! Here's our introductory episode that breaks down; what the show's about, why we're doing it, and gives you some insight on what's in it for you? Thanks for listening!